Clio & Phineas: Pockets: Yea or Nay? "sewable, wearable basics for busy women - always with pockets!" Pockets are even cropping up on the red carpet. Some pockets are clearly design/style decisions, but I'm more interested in the practical, functional element that seems to be a trend. Somehow, I seem to be immune to the allure of pockets. I find that pockets often add bulk at the hips, which is exactly where I don't want it. So, for me, the norm tends to be eliminating pockets, especially in/on seam pockets. I also tend to favor styles that have clean lines, and pockets tend to break up a garment's sleekness. Even my leather jacket doesn't have pockets. Perhaps this is a quirk of my own, but I never really put anything in my pockets aside from gloves in my winter coat when I am not wearing it. Again, this is in part because having things in my pockets breaks up the line of a garment and causes bulges where I don't want them. Besides, I always carry a purse. I really love how the right bag can make an outfit by adding a pop of color or texture, in addition to holding my keys, wallet, phone, etc, etc. (Phin is rolling his eyes at me right now because I have a fairly sizable bag collection and yet can always find another that I absolutely "need".) I use several different bags every week based on what I'm wearing, where I'm going and how much I'm carrying, from a small wristlet to a large tote. Is this odd? I have also found that pockets can become droopy with wear and time, especially in knits where they can stretch out. So, sometimes I'll even stitch RTW pockets closed to prevent any drooping - this is especially true of back welt pockets on pants. Then again, perhaps my conservative upbringing is to blame for my non-love-affair with pockets. Hands in pockets was corrected the same way slouching was. So, I have to ask: Pockets yeah or nay? As you can tell, I am biased. But I realize that this is clearly a quirk of my own. I'm wondering if I'm alone in my non-pocket-ness or what I'm possibly missing out on. If you are a pocket "yea" person, what do you put in your pockets? Do you not like purses? Do tell! Anyway, have a great weekend, especially if you are celebrating Easter or Passover. Oh and don't forget there's still another day to get in on the Frosting Shots give away. As much as it probably does mess up the lines, I need pockets in anything I'm going to wear to work. I have to have my keys to open up different instrument rooms, and it would be simply ridiculous to carry a purse around the chemistry building. In general, I'm a fan, and for a sewing pattern, I'd rather have them included and be able to choose to leave them out, then have to try to draft them to add them in. LOVE pockets, HATE purses! I'm glad more patterns are giving the option to sew in pockets (like you said, you can always close the seam up instead), but I do think there is a big difference between just sticking a pocket in a side seam and making a well thought out pocket. Tasia (sewaholic) had a post recently about the pocket in her latest trench coat pattern having a stay to hold it in place and also being set farther down the leg to avoid hip lumps. Sounds like a well thought out pocket. I never put anything into pockets for exactly the same reason as you. 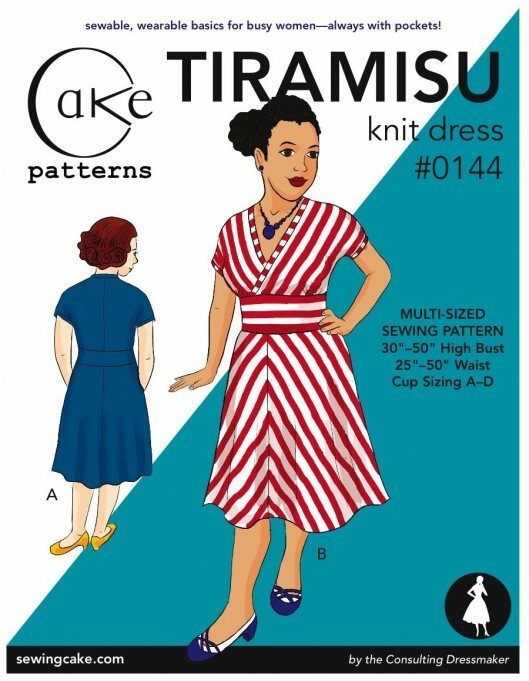 I did make the Tiramisu with pockets because it seemed like a fun twist on a regular dress. But if I make it again, I'm leaving the pockets out. I don't have particularly pronounced hips or derriere, but I don't need to emphasize more width in that area. I am really, totally, helplessly lazy and also very fidgety. Naturally, this means that dress pockets are the reason why I get up in the morning. I can wear one item of clothing (with storage space! ), and I have someplace to stick my hands when I'm dorkily waiting for something and don't feel self-important enough to flip through my telephone. Dress pockets save lives. I need pockets for when I'm walking round the building at work. Sometimes I'll take the toolbag with me but often I just need keys, swipe card, phone, and a few tools. It's easier to cram it all into pockets than drag the toolbag along. They do tend to stretch out with age. I'm getting better at putting tape in the edges to stabilise them. I suspect if my job was different I wouldn't need pockets at all. I like the idea of pockets but don't use them, except in jeans for the same reason as you. I usually have a bag with me anyway. Oh but I do want to learn how to properly sew various pockets too. Ha! LOL I hadn't considered the fidget factor. Absolutely - all pockets are not created equal. Kenneth King also has a great pocket technique in his jeanius Craftsy class. That's a really interesting point. I basically need my purse every day because of my commute (it carries my knitting, my coffee mug, etc). But once I'm at the office, it goes into a desk drawer for most of the day. I definitely use jeans and coat pockets more than pockets in other garments. But my phone just isn't comfy in a pocket. A book?!?! Wow, that is one large pocket. LOL You are the pocket queen. Yeah, I've sewn all kinds of pockets and would love to be better at it even though I don't use them. Ironic. I am not a fan of pockets. I concur with the whole hip issue - let's avoid any more bulk added there. I've made the Lonsdale sans pockets and it is lovely. Up next is the Cambie again without the pockets. As my father would say ... takes all kinds to make the world go round. I have to wear a badge at work. I refuse to wear the "necklace" kind because it interferes with my outfit. But the kind that clip onto a waistband are difficult to wear with a dress, for obvious reasons. I like pockets in dresses so I have a place to put my work badge. Other than that, I don't put anything in them. They're just fun to have. Nowadays, pockets are a big "No" for me, for the reasons stated in your post. When I was in college, pockets were always "Yes" because only dorks and dweebs and old ladies carried bags. (I am firmly in the Old Lady category now.) I have great irritation with pockets in women's rtw: they are far too shallow. Can't even put a snot rag in there without it falling out immediately, much less a lipstick or my giant wad of keys! I usually add to the depth of all my rtw jeans and trouser pockets. Helps when traveling to have secret pocket depth, to foil pickpockets and to keep passport safe. I love jamming my hands into pockets and I find them rather handy. On the other hand I totally understand and agree with your assessment that they add bulk to the hips. The pants that I feel look the best on me don't have any pockets. So I guess it depends on what I am sewing. I have to admit that I have pockets in my PJs and I love them! And jeans just need pockets to looks like jeans. But fancy dresses, skirts, blazers... probably look better on me without pockets. Oh, and I totally understand about the handbag wardrobe. I recently started collecting a larger assortment of bags and it is really nice to have options of the right bag for the right occasion. Of course, nothing compares with my sister's handbag collection - I think she could have a different bag for each day of the month! I am not a fan of inseam pockets in a skirt, for all the reasons you list. I put a waistband pocket in my work trousers for purely practical reasons, and also in athletic clothes/hiking clothes. I don't mind them being in a pattern though- I can always leave them off! Ha! I aspire to be your sister! Bags are fun! Now that's a clever idea! Definitely I like to have a small waistband pocket on my running clothes to take a little money and my housekey. I also don't mind when they are included in a pattern. They are easy enough to omit. How Do I Make This Top? Date Night: Would Cathy Lane Approve? ?